At Scandic, we have safety at heart. 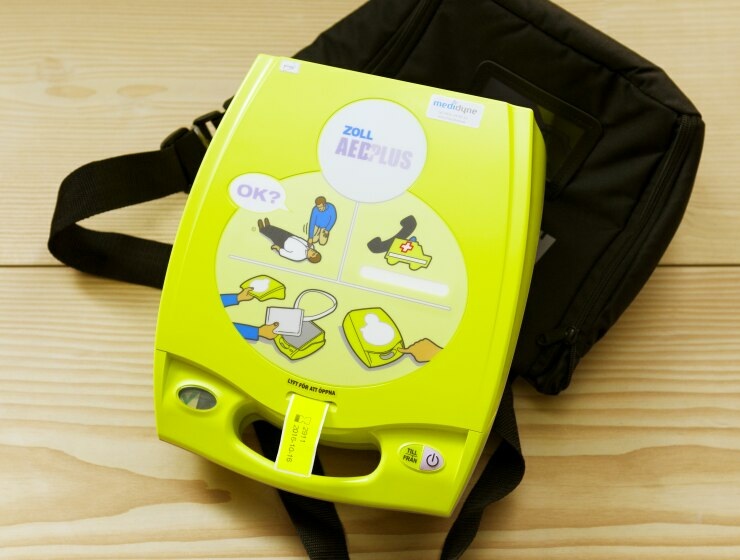 We are prepared if an emergency occurs and all our hotels have a defibrillator. Among our team members at the hotels, there is at least one person who is trained in heart and lung resuscitation (CPR). Escape routes and fire equipment are checked on a daily basis and our teams are trained continuously. Our hotels should be a safe and secure place to stay and to meet. It’s all about being prepared and knowing how to react in an emergency situation. We strive to make our environment relaxed and secure. To always think of security as a natural part of our everyday life is something that doesn’t necessarily show. But when a situation comes up you can feel safe in knowing that we will take good care of our guests. Every day, we check the evacuation routes and that the fire equipment works properly. In addition to what the law requires, we have a comprehensive safety and security checklist that all team members are familiar with and take responsibility for. There is always at least one team member at the hotel trained in heart and lung resuscitation (CPR). At all our hotels we have a defibrillator available and team members who can manage it. Everyone who works at the hotel takes part in practical fire and evacuation drills at least twice a year. Each hotel has its own crisis group and they train biannually in conceptual trainings. We remain alert and use common sense to keep an eye out for things that seem out of place. Make sure you know where the hotel's evacuation routes and assembly points are. Remember never to block an emergency exit with your luggage or anything else. Look after your belongings. Remain alert and do not leave valuables unattended. If you have your car with you, empty it yourself. If you see anything that seems strange, tell someone who works at the hotel. All of our hotels in six countries have a defibrillator available and the staff is educated how to handle an emergency situation if someone needs CPR. We would like all of our guests to feel safe and truly enjoy the food at Scandic. That´s why we offer gluten- and lactose free ingredients in our restaurants. We have smart design solutions at our hotels. In case of a fire alarm we have vibrating fire alarm clocks for our guests with a hearing disability.